Zanzibar holds a mysterious charm which can be felt throughout the archipelago. If you’ve been dreaming of sipping cocktails on white sand beaches with swaying palm trees, you should be booking your ticket right now. 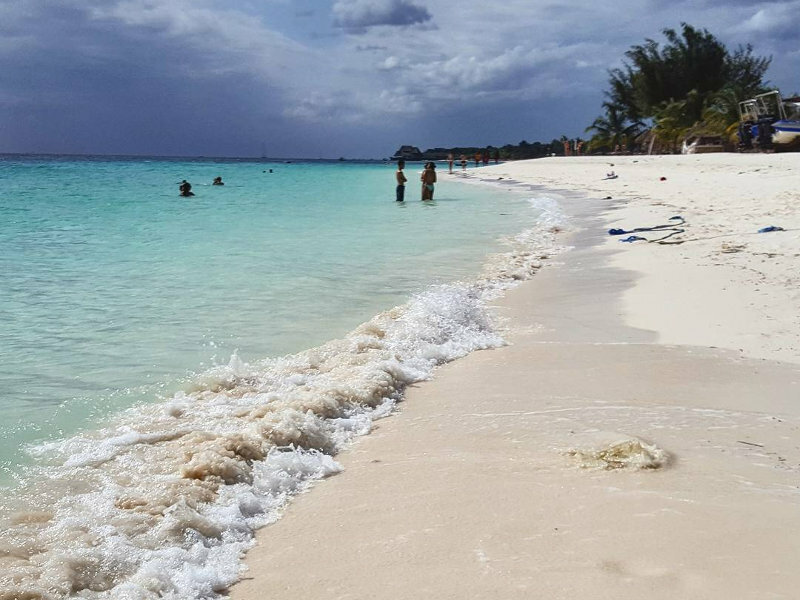 The best beaches can be found across the island’s coastline. Take a look at our list of the best beaches in Zanzibar to unwind at or for exhilarating watersports. Find your Mango flight to Zanzibar and compare more cheap flights to Zanzibar from only R5,709 on Travelstart! Located on the north coast, Nungwi Beach is hailed as one of the best Zanzibar beaches. Nungwi Beach possesses the mesmerising turquoise waters and white sand you’d expect to find on Zanzibar’s coast. 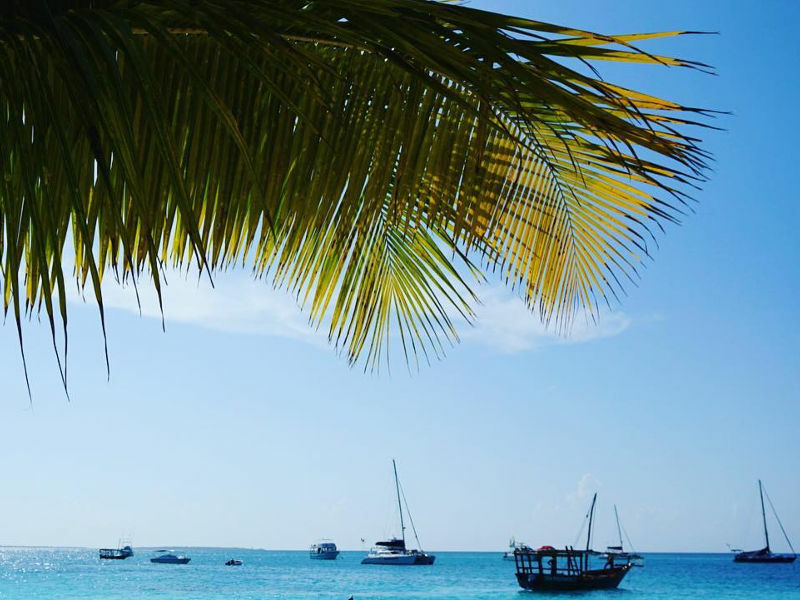 Along with the locals’ boats floating on the open sea, Nungwi Beach provides the most beautiful backdrop for your vacation selfies. Make your way to the quieter side of the beach, where there are less crowds. It is ideal for travellers seeking peace and solitude surrounded by the island’s stunning beauty. Take in the best views while relaxing in a hammock and simply enjoy the present moment of tropical bliss. From Stone Town (Zanzibar’s main city) the drive via surface roads could take approximately 1.5 hours. Azure water best describes what is to be expected at Kendwa Beach. It is about 3 km away from Nungwi, you could even walk along the beach from Nungwi to Kendwa during low tide. The full moon party is celebrated at Kendwa Beach, a joyous event celebrated with the locals and as African beats soar through the air, you are guaranteed a dancing extravaganza! It is one of the best beaches in Zanzibar for swimming and catching awe-inspiring sunsets. There is public transport available from Stone Town. Take the dalla dalla (minibus) number 116 at the dalla dalla station in Darajani. Be sure to ask the conductor to stop at the Kendwa Rocks junction. Kendwa village and beach is a 15-minute walk from the junction. The taxi fare from Stone Town to Kendwa could cost you R615 and up. Kiwengwa Beach is dubbed the “Little Italy” of Zanzibar, owing to its long beachfront being occupied by Italian-run resort hotels. Peace is guaranteed to be felt here. 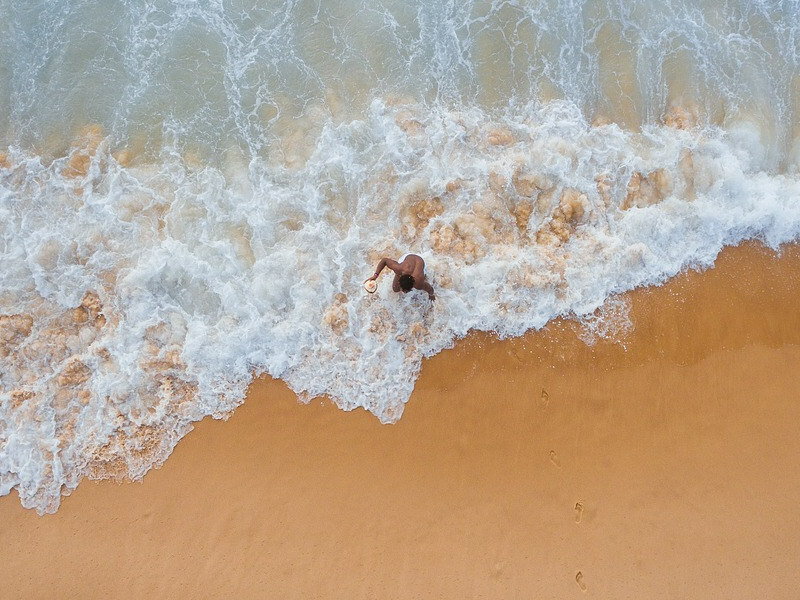 This east coast beach is heavily influenced by the low tide, which makes it ideal for vacationers to wade in the shallow, crystal-clear waters and enjoy a refreshingly cold tropical drink. Kiwengwa is a located 46 km from Stone Town. Hotel transport: Estimated price is R546 for a half day excursion. Public Transport: Take the number 17 dalla dalla. The taxi fare ranges from R614 and up. Matemwe is frequented by vibrant fishing communities and has some of the best conditions for relaxation. 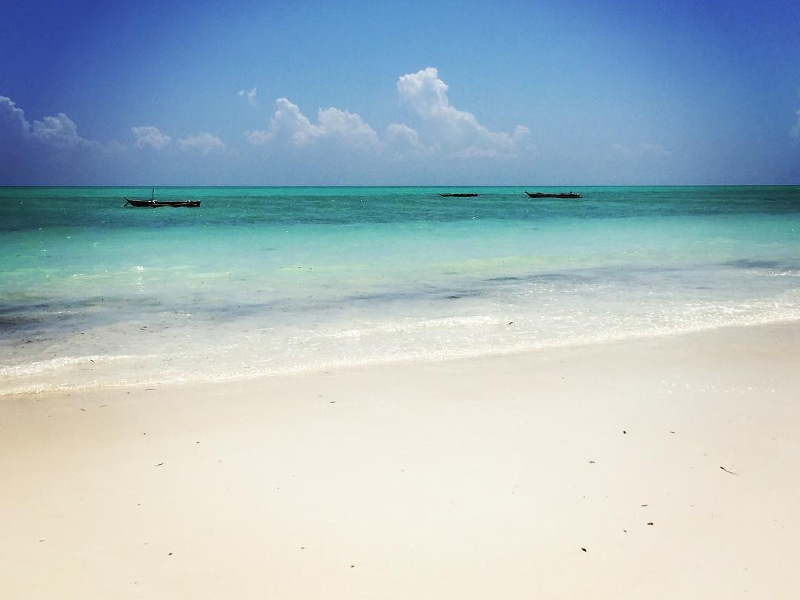 This unspoiled Zanzibar beach offers buttermilk sand to caress the soles of your feet. Matemwe Beach is not the best for swimming but this means that there are fewer crowds which is great if you’re hoping for privacy. 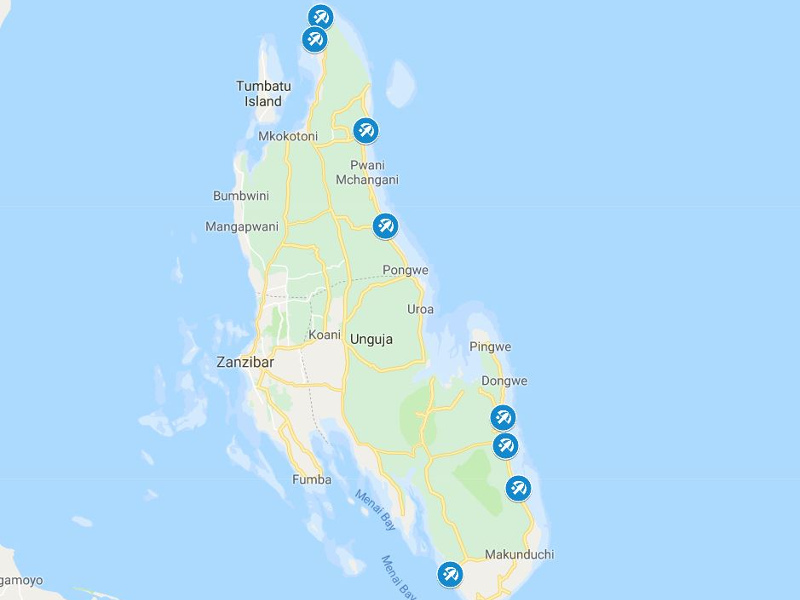 The distance from Stone Town to Matemwe is approximately 50 km. Public Transport: Take the number 118 dalla dalla which runs from Creek Road in Stone Town. The taxi fare ranges from R613 and up. Jambiani Beach is the ideal location to get acquainted with the locals. It is quite a lively beach with exquisite turquoise waters and white sand. The tide goes out quite far at Jambiani Beach. You can find a range of small restaurants here. There are snorkelling spots nearby. Consider hiring a bicycle and venture down the coast. Jambiani Beach is approximately 56 km from Stone Town. Public Transport: Take the dalla dalla number 309 from Stone Town. Many hotels in Jambiani provide transport to and from Stone Town. 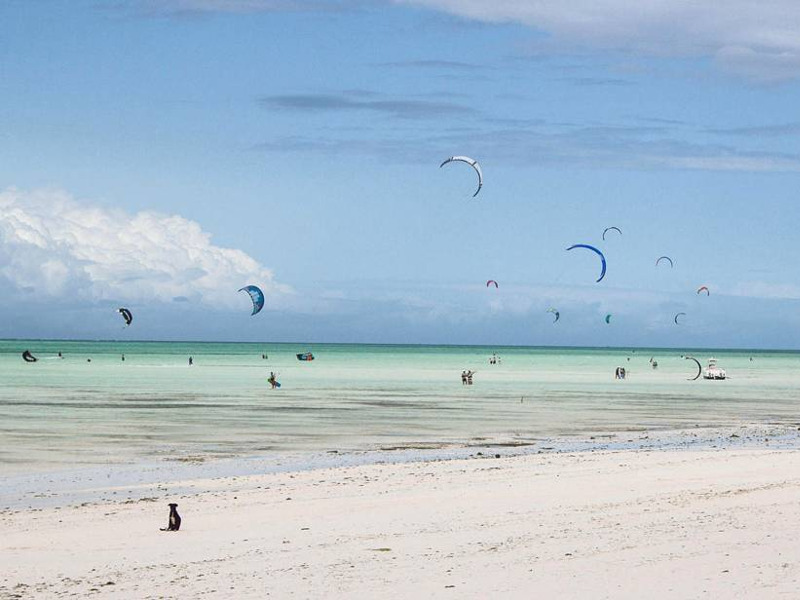 Paje Beach is one of the best Zanzibar beaches for thrilling adventures, including sailing and kite-surfing. Many of these thrilling activities take place during December and February, and then again from May to October. It is located in the south-east of Zanzibar’s coast. Paje Beach welcomes kite-surfers and those seeking to relax under the sun simultaneously. The drive from the airport is approximately 1-hour long. You can take a dalla dalla from Stone Town to Paje. Taxi fare ranges from R600 and up. 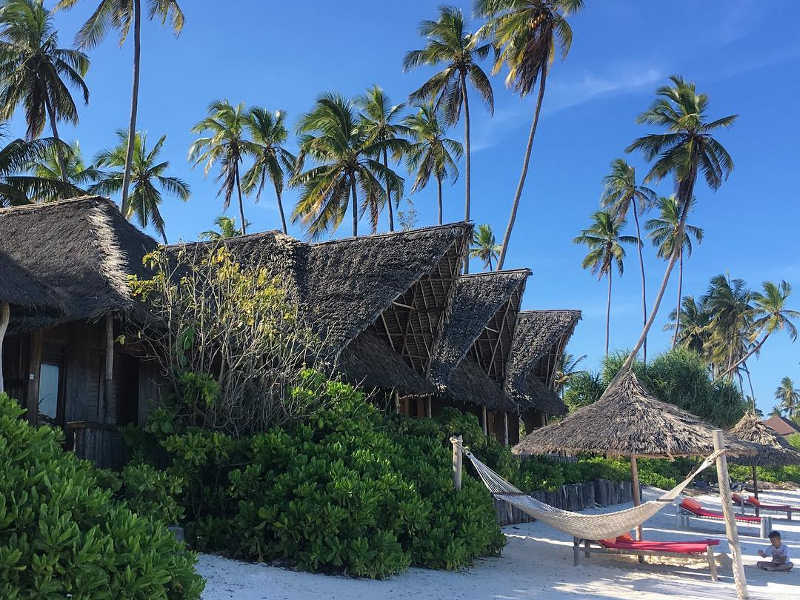 Located on the southeast corner of Zanzibar, Bwejju has an isolated beach, allowing for the best conditions for a relaxing retreat. Take in the incredible scenes of the local fishermen returning from sail with their catch of the day in their wooden dhow boats. Bwejju is elated with local kids playing soccer and women collecting seaweed. The water is great for swimming and when the tide is low you can do a reef safari: walking to the reef without getting wet. This quiet and extremely long stretch of beach is where you can also indulge in some snorkelling. Bwejju beach is located 53 km from Stone Town. You can take a taxi or dalla dalla to Bwejju. The taxi fare can range from R620 and up. 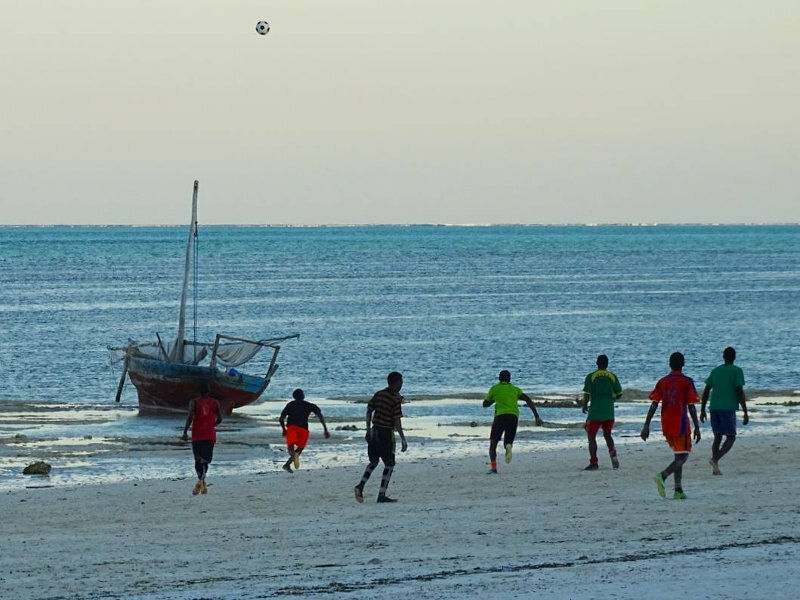 The best of Zanzibar’s beaches can be found on the south coast. 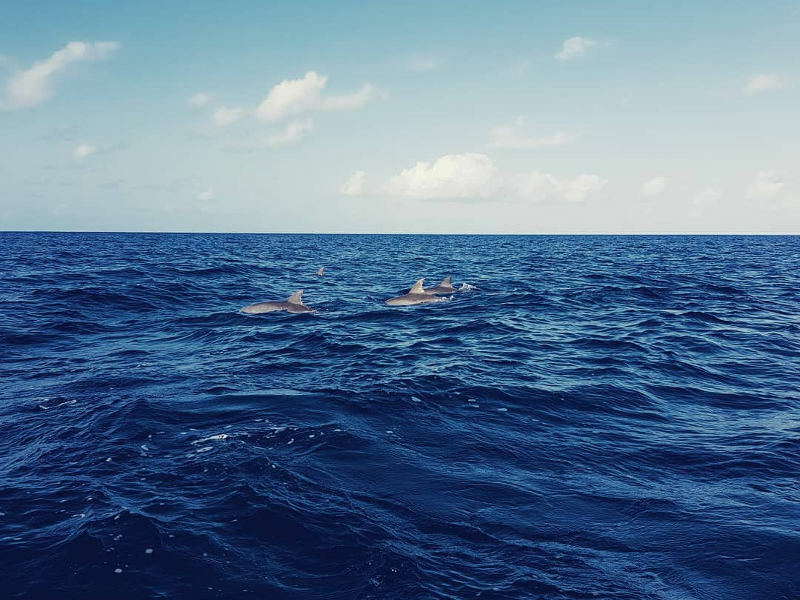 Kizimkazi beach is where you’re guaranteed to see beautiful bottlenose dolphins in the ocean. Head to Kizimkazi if you wish to snorkel, dive or swim with the amazing creatures and other marine species in Zanzibar. Kizimkazi is located 60 km from Stone Town. You can travel to Kizimkazi Beach with a taxi or dalla dalla number 326. Taxi fare ranges from R620 and up. We would like a relaxed holiday in Zanzibar. Low airfares. Accommidation one room for 2 double bed. Low internal travel cost. Suggest budget meals. All other economical cost visits to important areas. 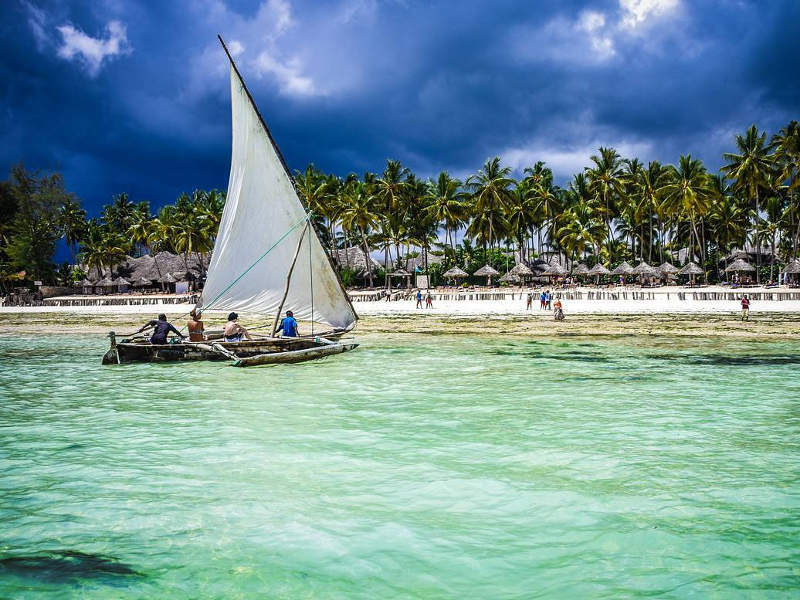 Should you wish to get assistance in receiving a quote for Zanzibar and making a reservation, we have a team of Travel Experts that would love to help. One of our agents will get back to you with a quote within 2 working days. Zanzibar is so under-rated. It is beautiful, relaxed and really heaven on Earth. The locals are really friendly, wherever you go. Nungwe beach is stunning. We also went to the beach that the restaurant The Rock is, (the sand is like powder). We went on a number of different day tours where you go on dhow’s and have beach picnics, snorkel off the boat, and spend time on islands that appear and disappear with the tides. There are also many cultural and historical tours. Get the experience before it becomes over-commercialised like so many other beach destinations. Can someone suggest a trip to experience everything the island can offer, or must we stay at one resort as a base to work from. I thought of three days Stonetown, then 4 somewhere else, any suggestions please? 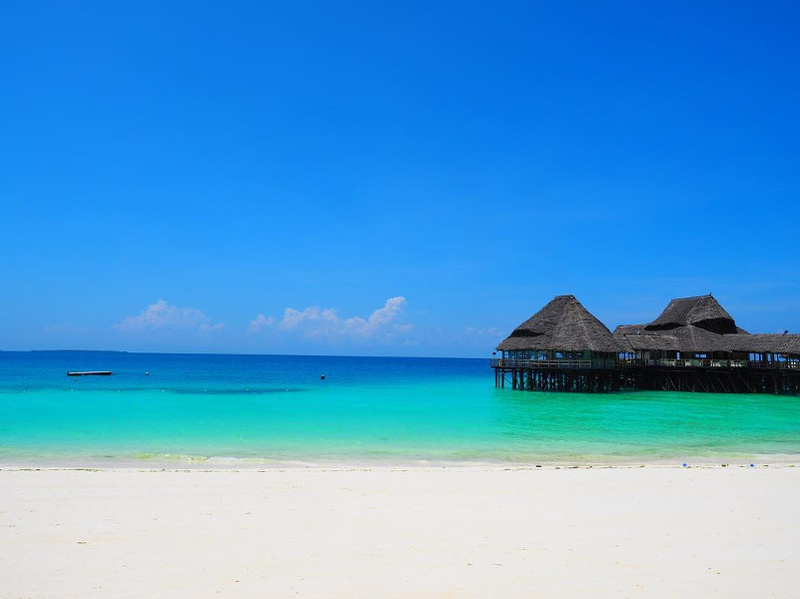 We have a team of agents who would love to help with a quote and itinerary of places to visit in Zanzibar. Please pop them an e-mail at: travelbar@travelstart.com with your dates of travel, budget and what you looking for. 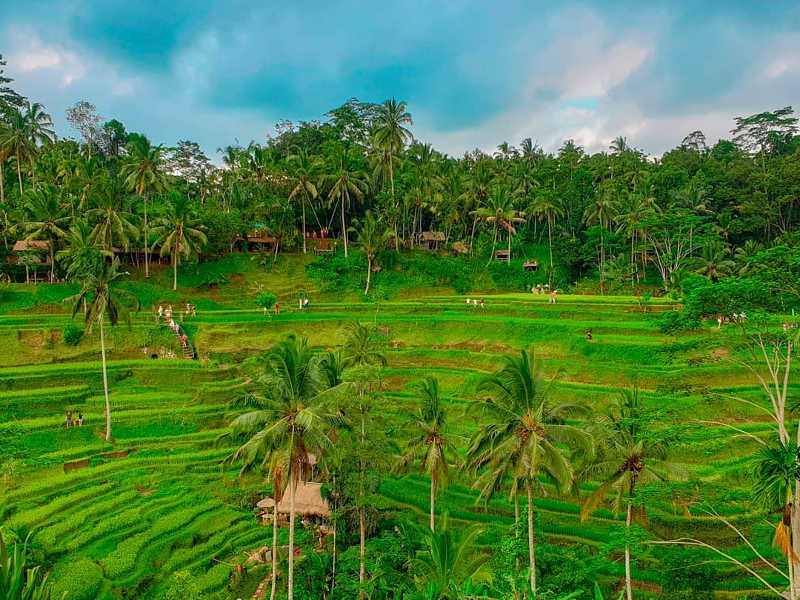 One of our travel experts will be happy to help with a quote and answer any question you might have. Is this only for the return flight or is it a package deal ? If you are asking about the: “Book cheap flights to Zanzibar from only R5,709 on Travelstart!” this would be for return flights. 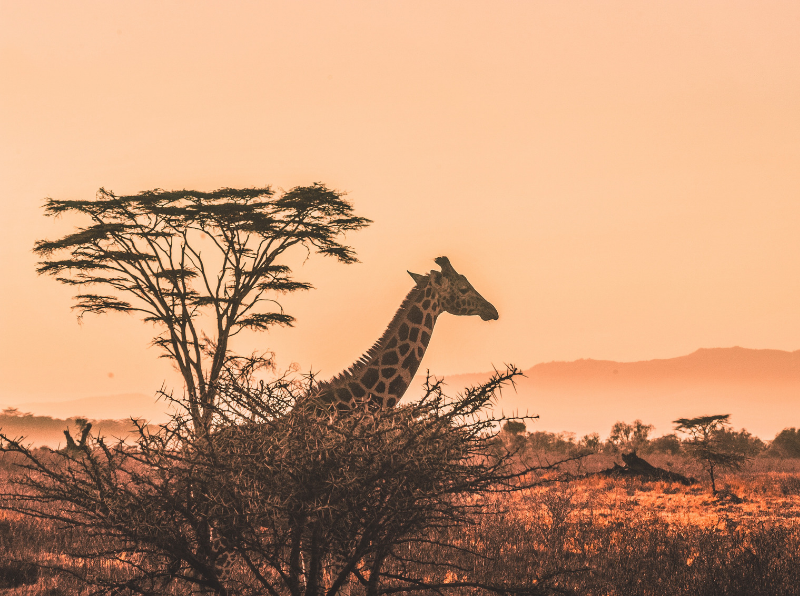 Should you wish to get assistance in receiving a quote and making a reservation for Zanzibar we have a team of Travel Experts that would love to help. Would love to visit one of this great Beaches this coming year…..